Two limited editions are designed each year by our artistic director following the fashion trends. 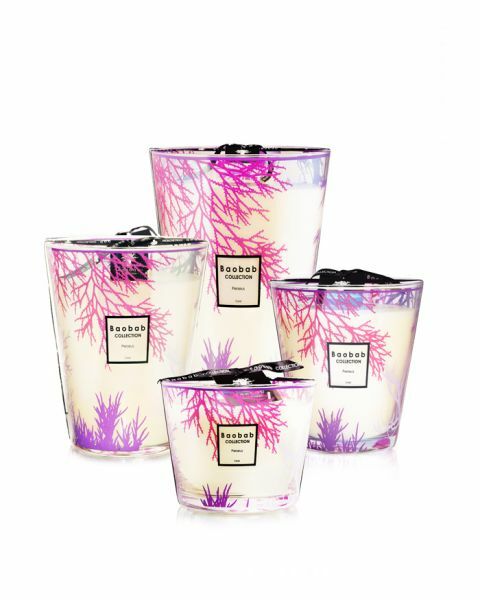 The Perseus scented candles hand-blown glass is decorated with a printed coral design. An iridescent overlay is then applied in order to enhance the natural shine that emerges once the candle is lit. 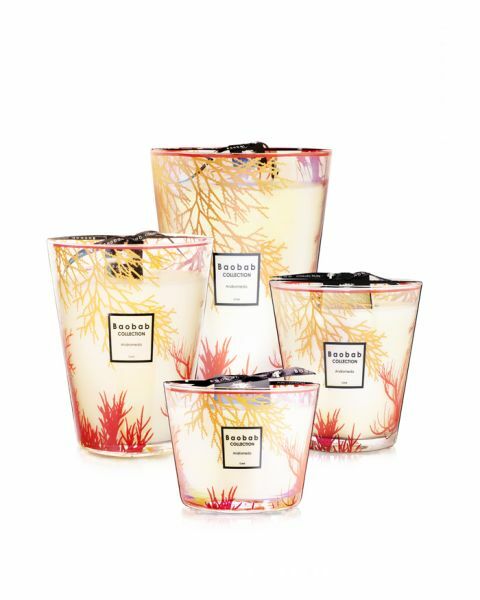 With its green and turquoise coral design, the Poseidon scented candle takes us to the mysterious depths of the Mediterranean Sea. 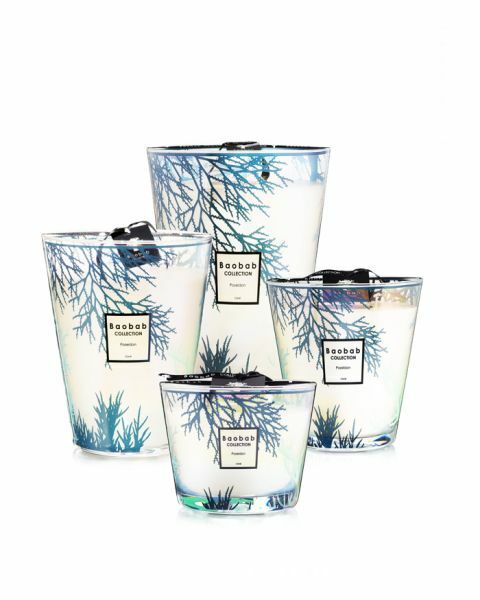 Once lit, the glass comes alive with turquoise flashes as splendid as the coral reef.